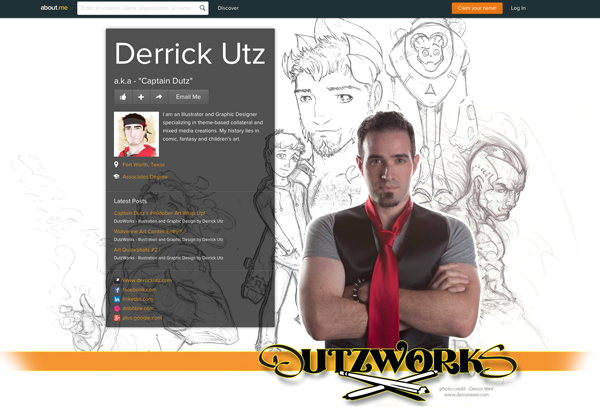 DutzWorks - Illustration and Graphic Design by Derrick Utz: New Online Community Homes!!!!!!!! Wow, what a few months it has been and things are just getting better! 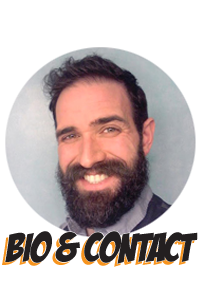 Here are the two new communities that i am involved in to we can find each other if you are also part of them. So come on, lets dive in! About.me is a great free one page connection point in which you can basically make a digital business card with links to your wesites, social medias, comminuties and contact information. It alows room for you to write a bio, tell your backstory and list a job history & skill sets. If you have no personal website yet still want to have a great landing page for for professional identity, Aboit.me is a great place to do so! You can find and connect to me at my About.me page by going to about.me/derrickutz. I was also able to embed their Bio/Profile into the sidebar of this website! Check it out because it is awesome! Last but definitely not least is my recent invitation onto the site of Dribbble.com! They define the site as a "show and tell" for designers and artists and have a very specific entry process. To sign onto the site and be able to follow other artists and view their work it is free. At that point you are considered a Prospect just as in the sport of Basketball, hence the name "Dribbble." To be able to post your own "shots" though you need to become a "Player" and that only happens when another Player "drafts" you. Other Players who are currently posting and participating on the site receive a limited number of invitations from the site host organization and they are to be used at the Player's discretion. This limits the entry of new Players to the site to a managable number of people a month and it gives the other Players the opportunity to invite Prospects they believe would be a boon and aid to the community and those who would lift it up with quality work enjoyed by the other players, onlooking Prospects and professionals alike. Well, I joined as a Prospect probably a year and a half ago and just recently was gifted with an invitation to be a Player from a great local designer i have been collaboration with on major website projects at work. His name is Philip Thepkaysone and you can find his Dribbble page here! 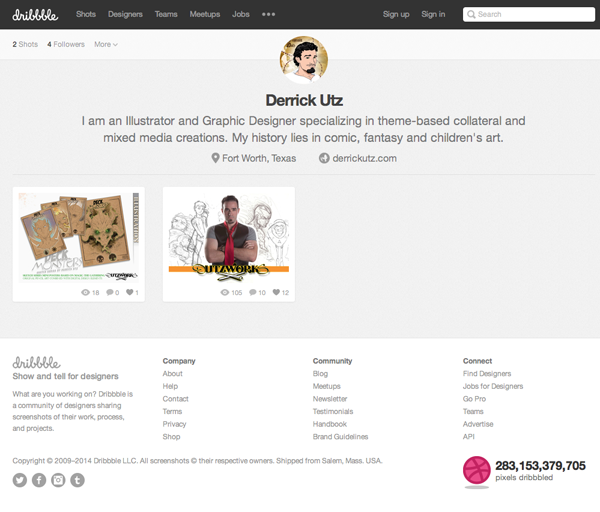 You can also find my new Dribbble page by clicking here or by going to www.dribbble.com/derrickutz.